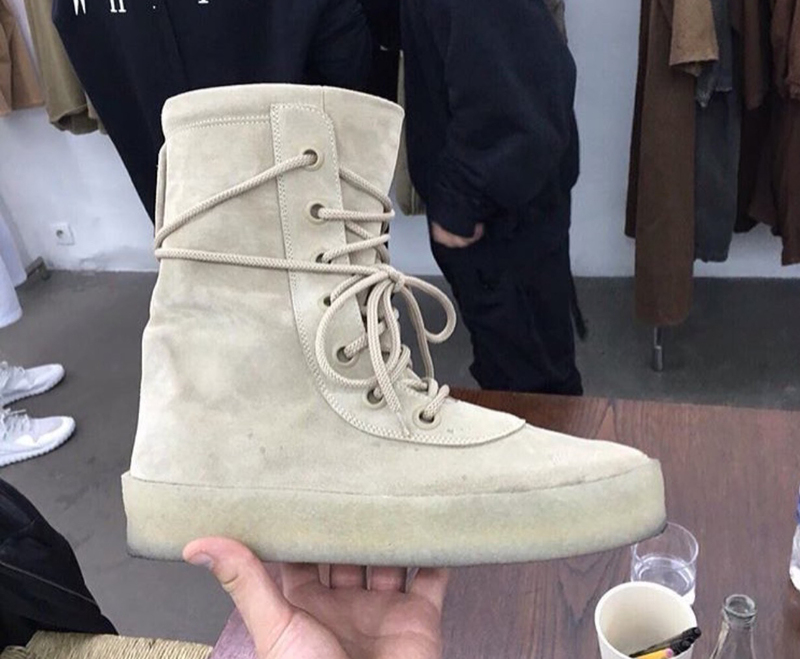 A preview of the next Yeezy Boots from Season 2. 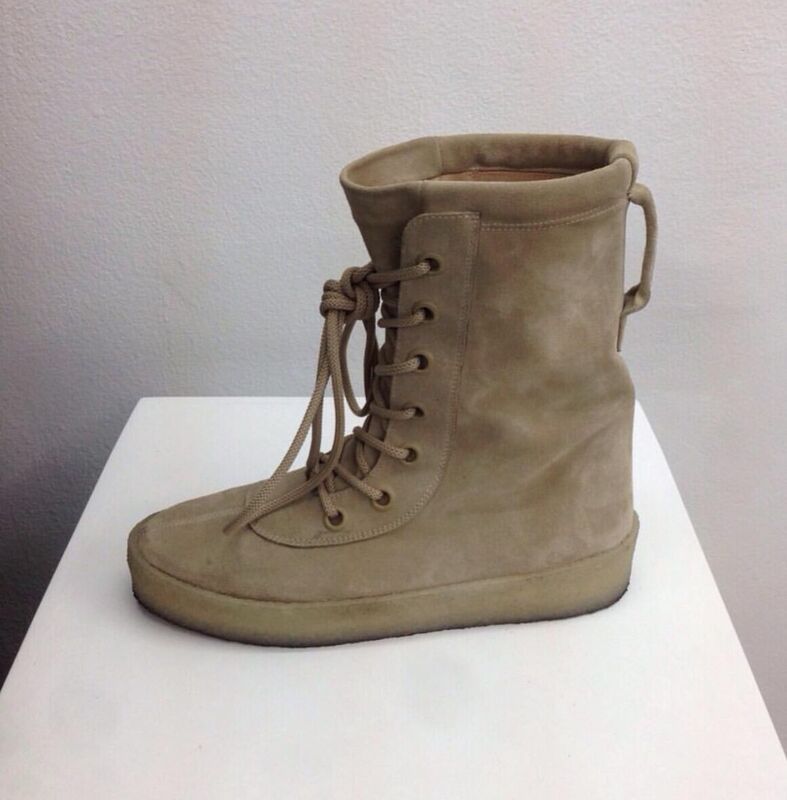 Ahead of the upcoming release of the much anticipated 'Black Friday' adidas Yeezy Boost 750s, images have surfaced of Kanye West's upcoming Yeezy Boot for Season 2. 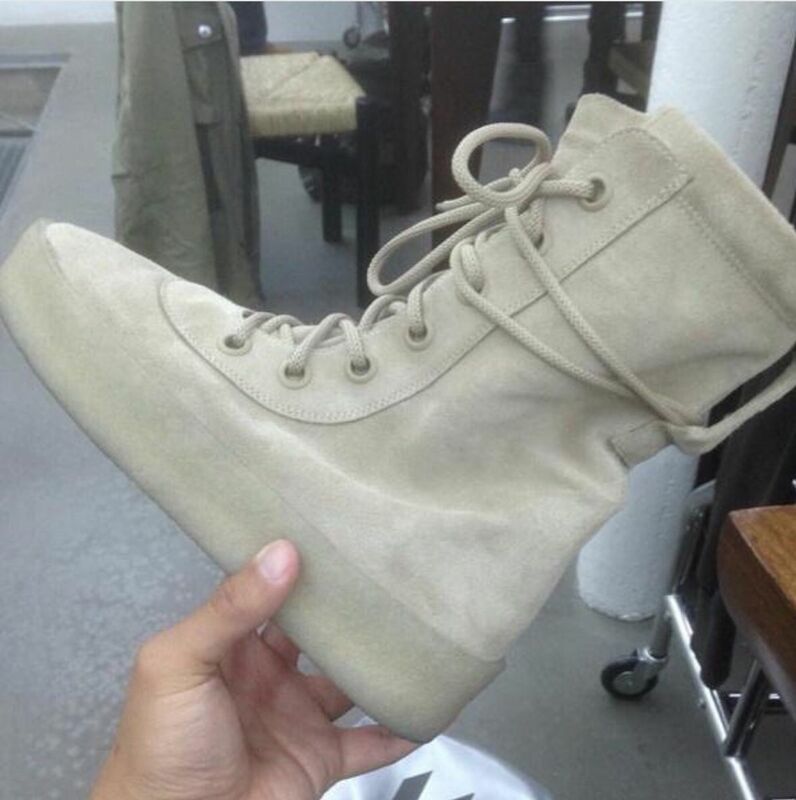 Courtesy of Yeezy Talk Worldwide, we get our first look at West's latest design which maintains the military aesthetic of the 950 but in lieu of the duck boot-esque design, West has opted for a cleaner look while incorporating a crepe outsole. 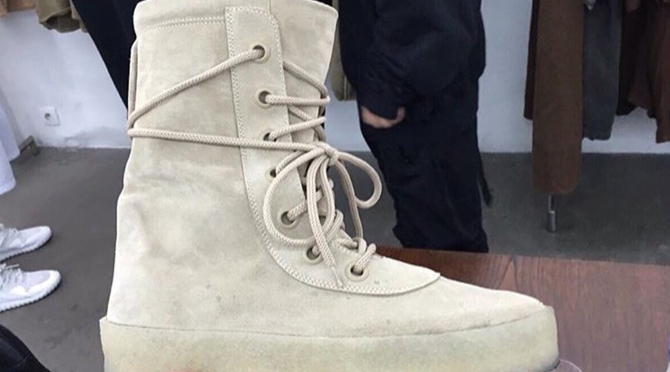 Additionally, West's second boot will no longer in be in collaboration with adidas and will also be made in Italy. 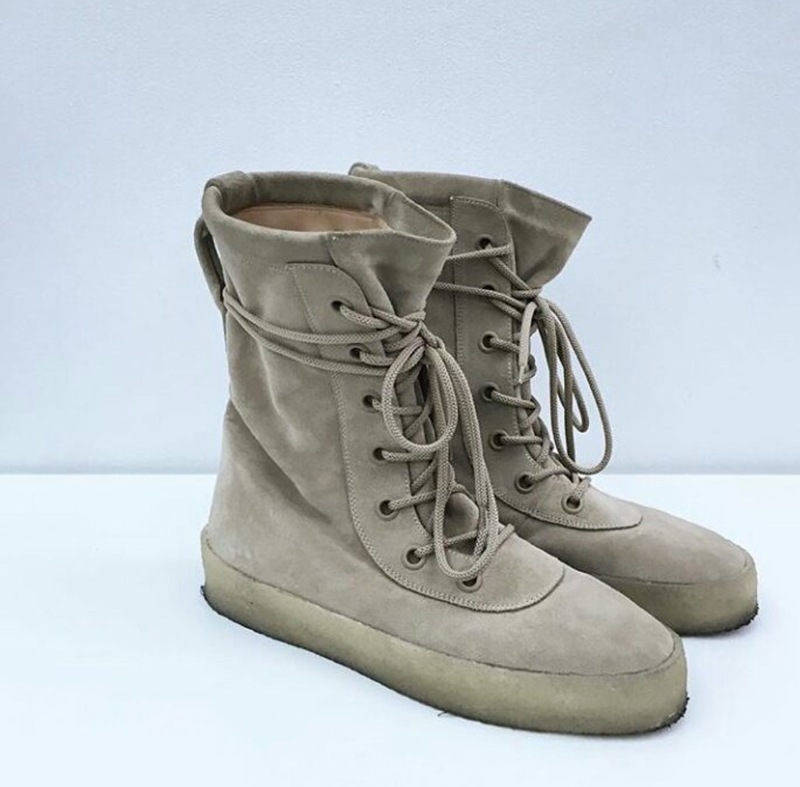 The boot is slated for release February 2016 and should be available at the same retailers that stocked his adidas collaborations. Official pricing has not been made available just yet, but considering its being made in Italy coupled with the price point of the 950, we fully anticipate these to be a wallet breaker.